I usually don’t go in for cheesy, sentimental holiday movies. 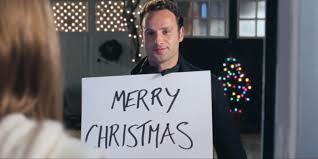 That being said, there’s just enough eccentricity and goofiness for me to absolutely LOVE Love Actually. This film is my favorite sappy, sentimental (and yes, goofy) holiday film of ALL TIME! 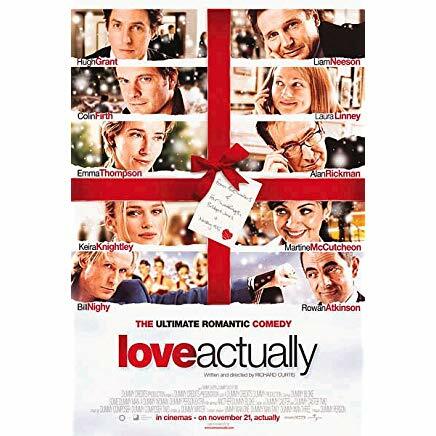 That is why I was so thrilled a little more than a year ago when I found out that December was open and I could host Love Actually for Food ‘n Flix: THE HOLIDAY EDITION 2018! I asked Heather to sign me up! This film is in the vein of the “feel good” holiday genre. At the center of it all are relationships—relationships between husbands and wives, fathers and sons, sisters and brothers, co-workers, best friends, newlyweds, bosses and employees. It also stars almost everyone that was anyone in 2003 (and some hotties that are still around today): Liam Neeson, Colin Firth, Hugh Grant along with one of my favorite actresses, Emma Thompson. If you’re like me, you’ll get too involved in the relationship dynamics in the film to notice the food. And, I will acknowledge, there’s not a huge amount of food in the film. This drinking game is so ridiculous (read “fun”) that I had to post it. Hope you join up. Remember, it is a holiday film as well so festive recipes are also welcome and encouraged! View Love Actually (hopefully with your own Love). Taking inspiration from the film, head into the kitchen and create a recipe. Alternately, post a photo of the dish you made on Instagram (public accounts only). You must include the following in your caption: short intro, recipe, #FoodnFlix. Your post must be current (during month of film). And, of course we don’t mind if your post is linked to other events…the more the merrier. Submissions are due by the end of the day on December 31, 2018! Oh, I am SO in! I like this movie and, like you, I don’t go for the ooey gooey type movies but THIS one is so fun. What’s your favorite story line? Mine is Auralia & the Colin Firth story. Yes, I would agree with any Colin Firth story line, BUT I think I am partial to the whole PM and Natalie relationship. I do LOVE this quirky holiday gem. LOVE this movie, have seen it so many times. But it has been a while so yay get to watch it again! Yep, not sure I would last long with this multi-faceted game!